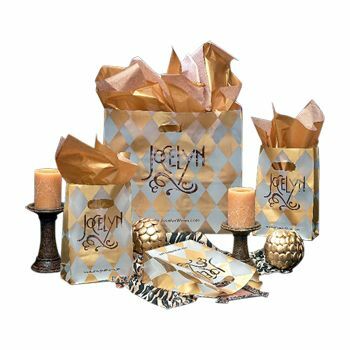 Metallic Gold Harlequin Design bags add a touch of romantic style to any product. Strong cardboard bottoms ensure durability and strength. 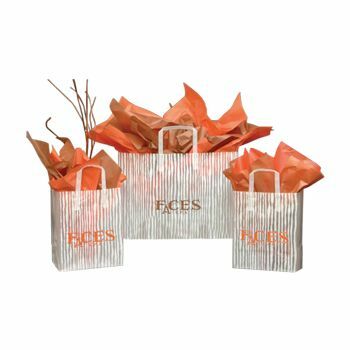 Are you looking to add a touch of class to your next giveaway or gift-giving occasion? 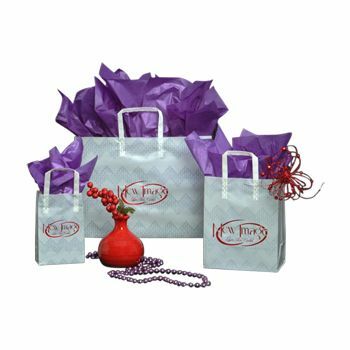 These beautiful Custom Printed Gold Harlequin Bags feature an attention-grabbing metallic finish and diamond checker design. 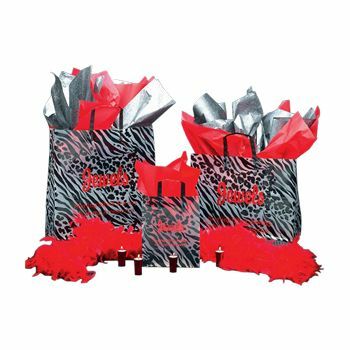 The cardboard bottoms ensure both strength and durability. 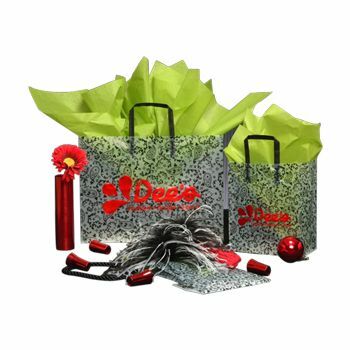 Custom Printed Gold Harlequin Bags are available in two sizes, and custom printing is available to fit your needs. 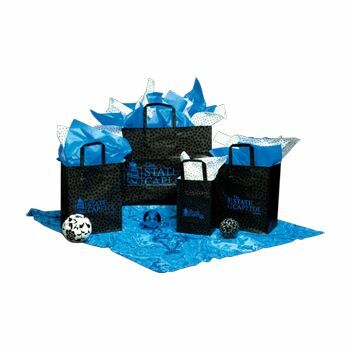 Rush production is offered, and your shipment is guaranteed to arrive on time, so order today.